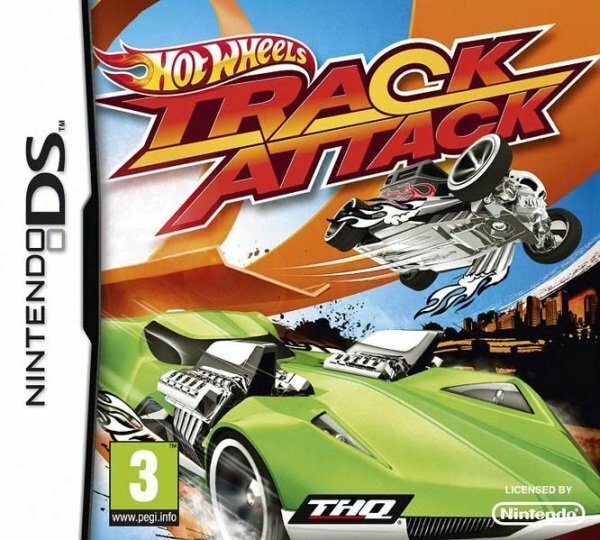 Hot Wheels Track Attack offers an arcade-style racing experience featuring outrageous gravity-defying stunts and customized track-building activities! Construct your own track using Hot Wheels inspired pieces and race across them using dozens of authentic, iconic Hot Wheels vehicles. Features: - High-speed arcade-style gameplay! - Gravity-defying jumps and loops! - Construct your own track using Hot Wheels inspired pieces! - Wide variety of iconic Hot Wheels vehicles that are customizable with paint and upgrades, 24 vehicles in all! - 4 distinct environments, each terrorized by a monstrous villain!